Want a free ringtone? 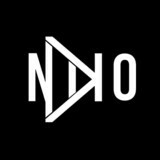 Audiko.net! We propose to download a free niko ringtones for your iPhone or mobile. Suit yourself your favorite tune from your favorite video - Luis Fonsi - Despacito ft. Daddy Yankee By Nik, IDGAF - Dame Don Ft. Niko G4, Alexis & Fido - La Cómplice, or any other track. You may download your tune both in the MP3 and m4a formats, supported by both mobile phones and iPhones. Just select a track, and choose free niko ringtones download option.